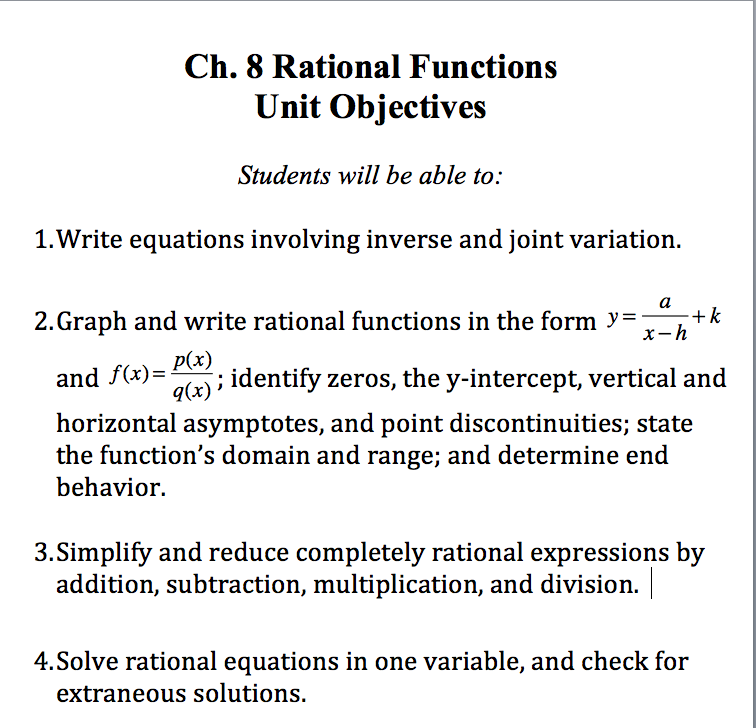 Tomorrow your son/daughter has a quiz on graphing rational functions. We've spent 3 classes practicing this material including two practice quizzes. I am hopeful for this quiz and ending the quarter on a positive note. There was a real engaged and communal spirit in both classes today. I'd like to tell you of a new feature of class that I believe will really help us. 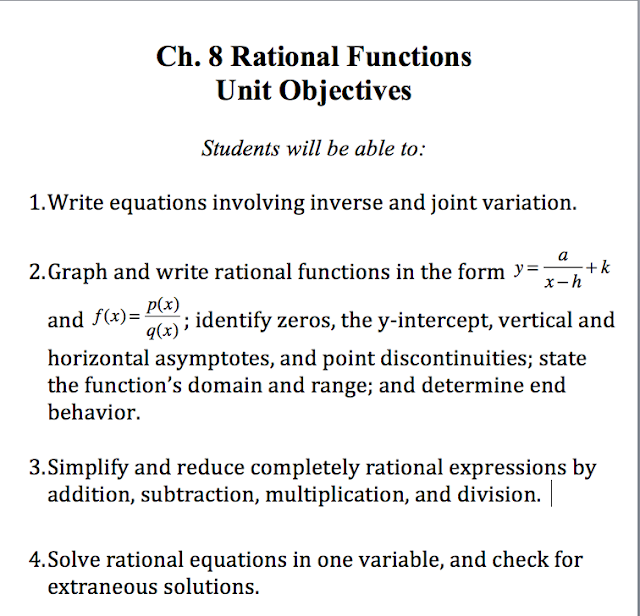 I have a giant sized poster of this unit's objectives that I made collaboratively with the other 2 Algebra II (4) teachers that summarizes the four key objectives the students will be able to show mastery of. It serves as a great reference point for me during classes. As always, reach out to me if you have a concern about your child.